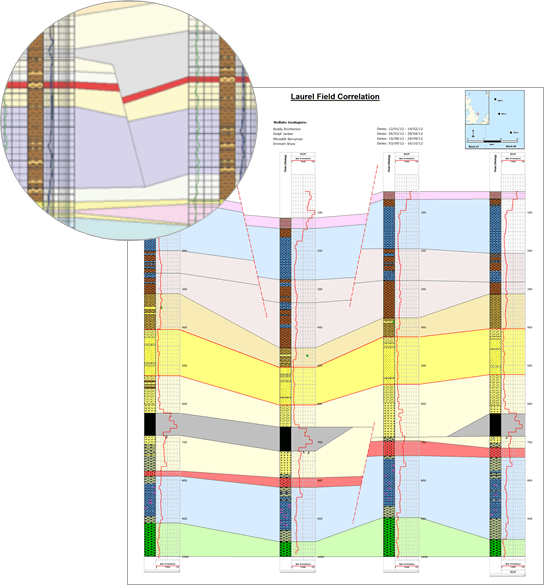 Gain greater insight for well engineering and geological objectives through well correlation. The GEOSUITE has two applications for well correlation. One to target drilling operations with tools and features to keep the Geologist up to date with what you expect next. Alternatively create a canvas to layout well data for a field or region and to interpret the subsurface structures and plays. The correlation is a layout in your well log document and can leverage the latest real-time data and well prognosis information. 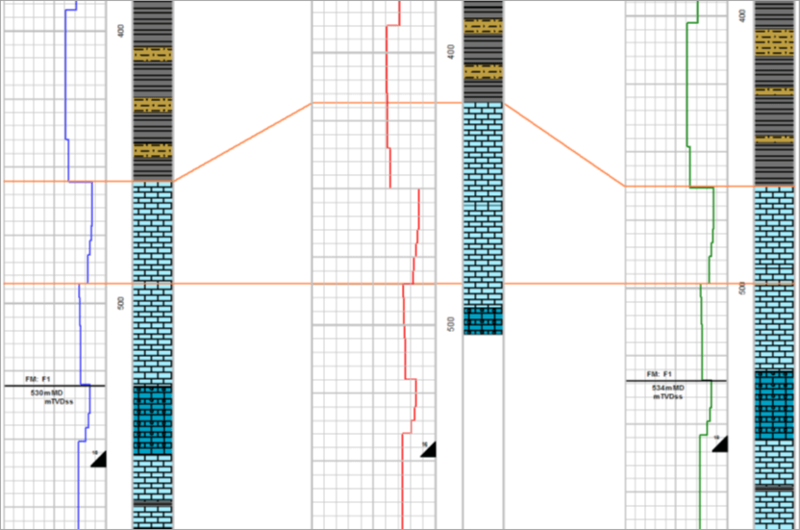 Whatever you do in your Lithlog will be replicated in your correlation panel and vice versa. Pick curve traces and ‘ghost’ the curve over other wells to find similar trends. Correlate any point on either well log and auto-flatted on latest tie point. Connect to a WITSML server like WellSTORE and LWD and MLU data will appear automatically. One less thing to worry about when picking the right casing point. 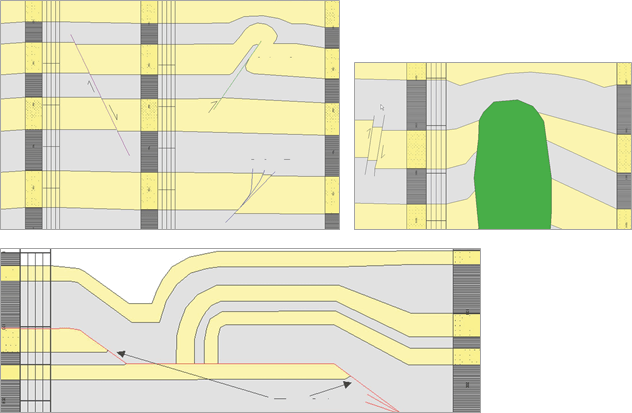 During a development campaign a composite presentation of the wells can be presented and the subsurface structures interpreted and visualised. Represent geological structures to help communicate subsurface targets with respect to offset wells. Interpret well path issues and set expectations for geological horizons.